Headlights - Stradbally Farm Services ltd.
100% brightness: 4 hours duration. 50% brightness: 9 hours duration. 25% brightness: 16 hours duration. Flashing mode: 7 hours duration. Anywhere hands free operation is required and preferred. 100% brightness: 18 hours duration. 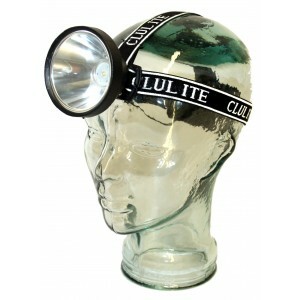 Super bright 3w COB Headlight producing 180 lumens giving a beam distance of 30m. High, low and strobe beam options with pivoting head. High quality casing supplied compete with 3 x AA Batteries. This Focus2Go rechargeable LED head light with adjustable beam allows the user to select the beam style they prefer from wide beam to narrow spot and vertical adjustment through 90 degrees. It has a handy multi battery option- Rechargeable (supplied) or AAA batteries for back-up power or extended duration 5 light modes including a red side light the Focus2Go delivers ideal illumination exactly where you need it. Complete with an adjustable head strap and USB charging lead. LED indicator shows battery capacity and charging status- IP64 Dust and water resistant. The Way2Go is a slim and sleek style LED head torch- great for all activities, walking, hiking, running and general everyday use. The Ultra Slim Head Light delivers style and comfort, equipping you for all manner of outdoor excursions. Light weight and ultra slim producing an incredible beam. The head is adjustable in an angle to direct light in any position. Excellent quality with long duration times per charge. Red rear light enhances safety. Slim and lightweight design offers optimal comfort.